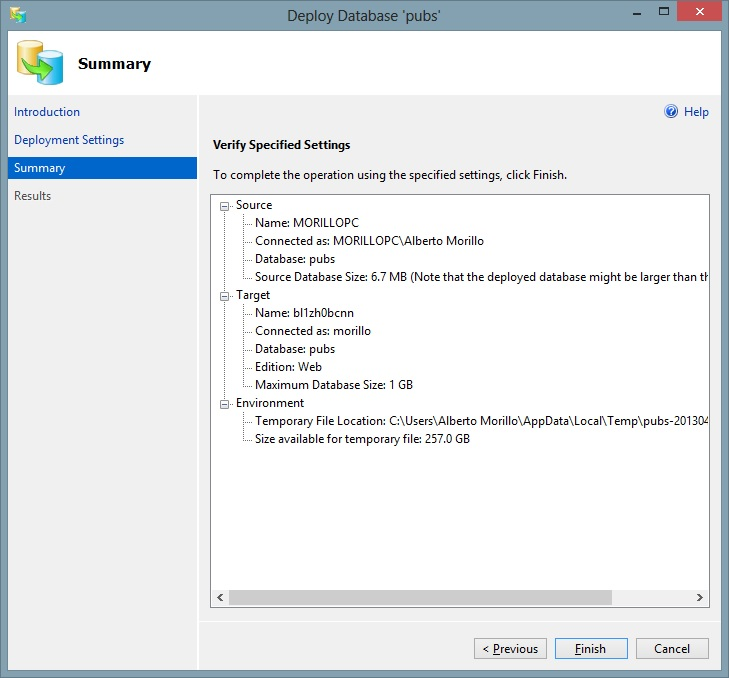 Applies to: Microsoft SQL Server 2012 Enterprise Edition. 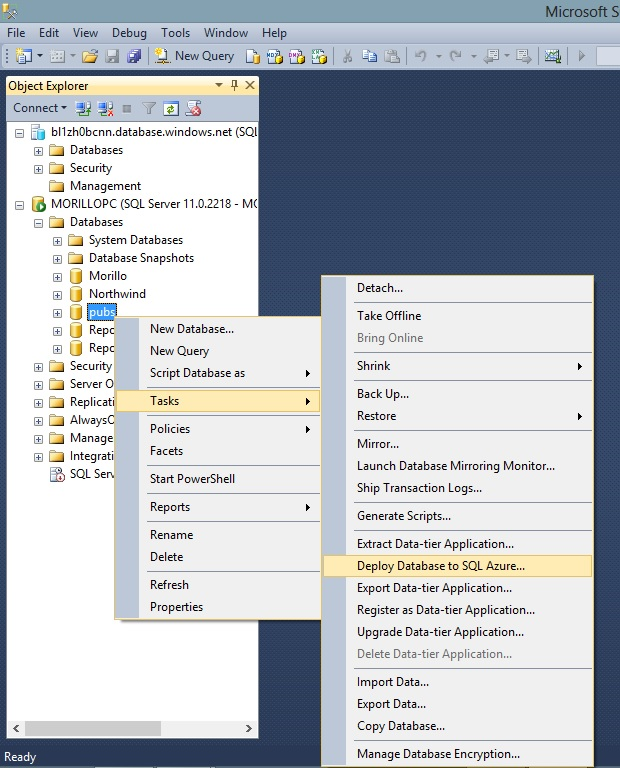 If you are planning the migration of SQL Server databases to Windows Azure, SQL Server 2012 Management Studio (SSMS) provides you a great wizard to perform this task in just a few minutes. Below you will find the procedure to this migration. 1. Create a database server on Windows Azure. 2. 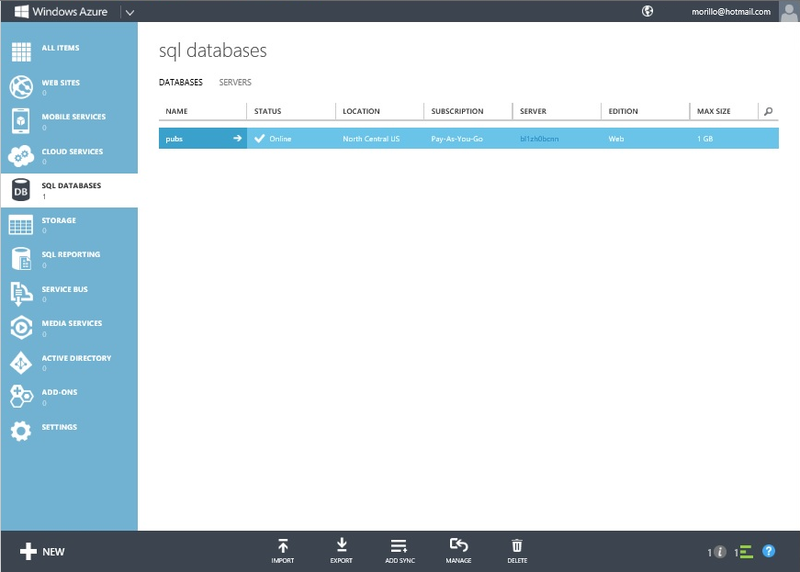 Connect to the Windows Azure database server as shown below. 3. 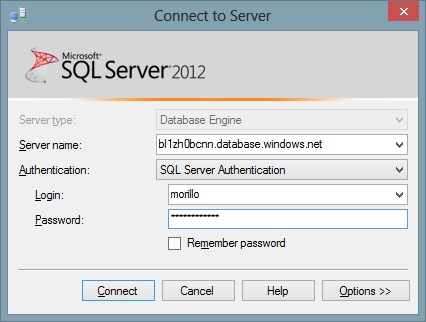 Connect to the SQL Server instance located on your LAN or local computer. 4. 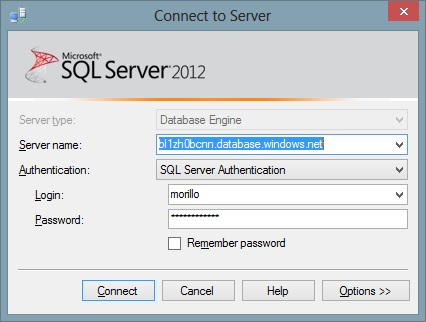 Make a right click on a database on your SQL Server instance that you would like to migrate to Windows Azure. 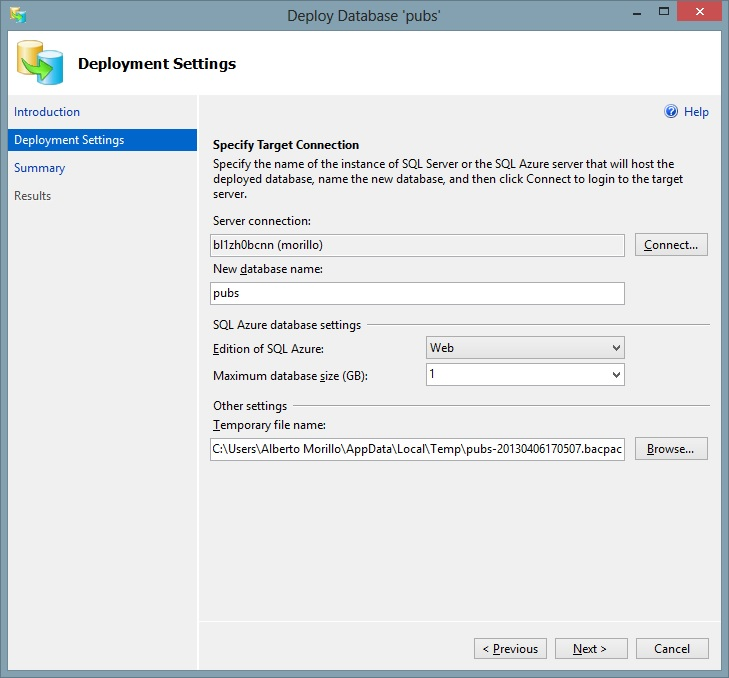 Make a click on “Tasks” then select “Deploy database to SQL Azure…” For this procedure we are using an old SQL Server 2000 database named Pubs that we previously upgraded to SQL Server 2012. 5. Click on the Next button on the Introduction dialog of the wizard. 6. 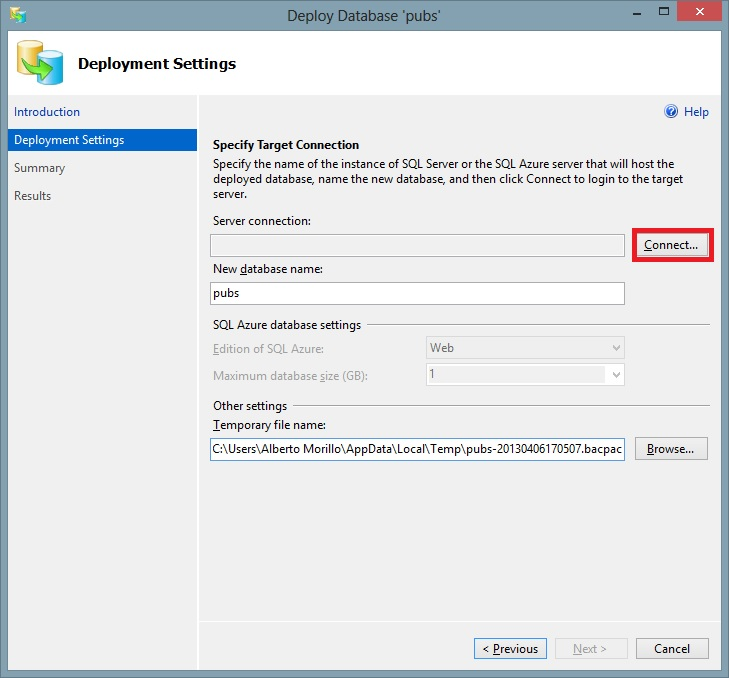 On the Deployment Settings dialog of the Wizard, click on the Connect button to provide credentials and get connected to the SQL Azure database server. Once the connection has been established, click on the Next button. 7. A summary of all the options you have chosen will appear on the Summary screen. Make a click on the Finish button. 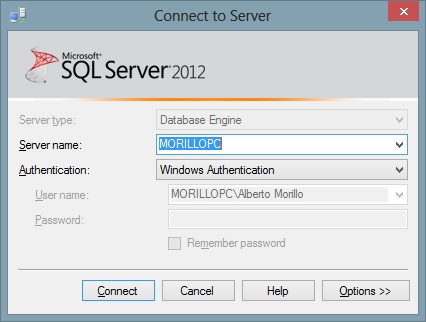 Error SQL71564: Table Table: [dbo]. [roysched] does not have a clustered index. 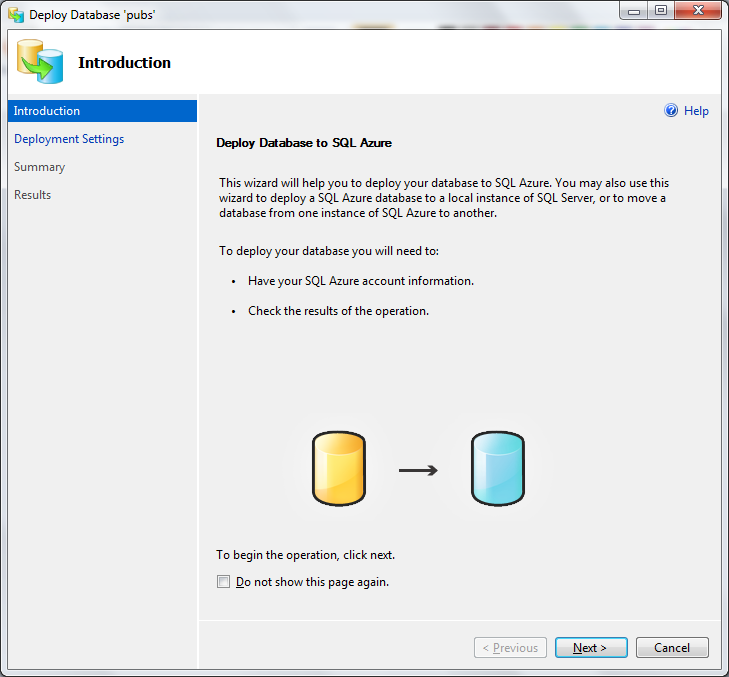 SQL Azure does not allow the creation of tables that don’t have a clustered index. 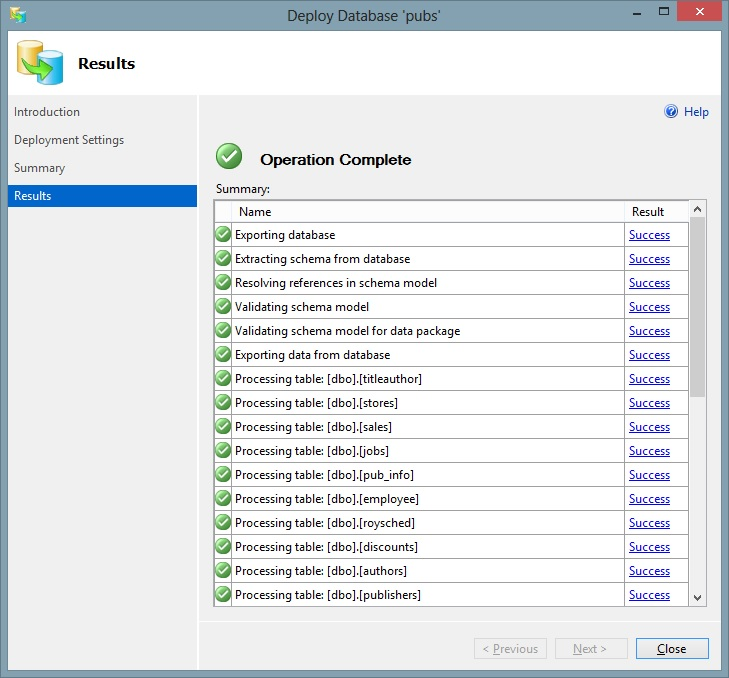 We created clustered indexes on an identity column we added to each table. 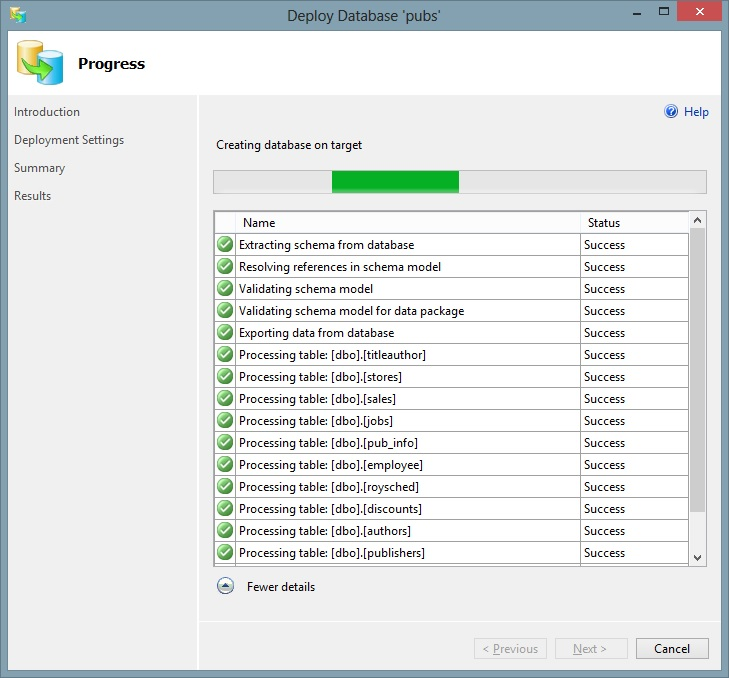 We then re-run the Wizard again and the migration process finished successfully. 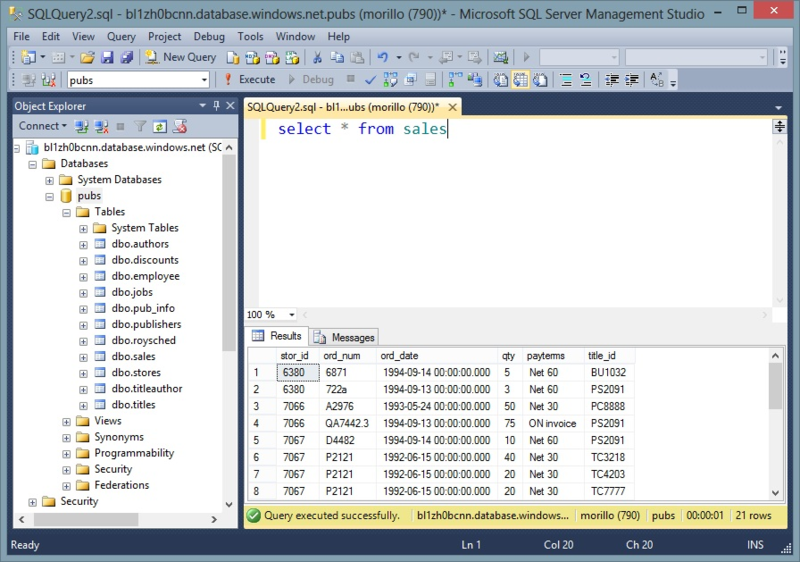 We ran a simple SELECT statement on the database we just migrated to the Windows Azure database server using SSMS. 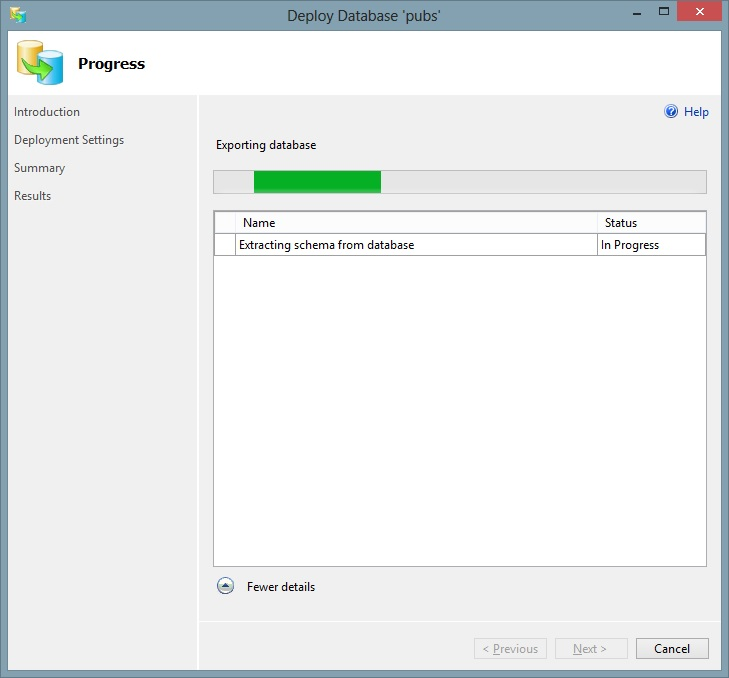 Let’s confirm the Pubs database now exists on the Windows Azure database server.